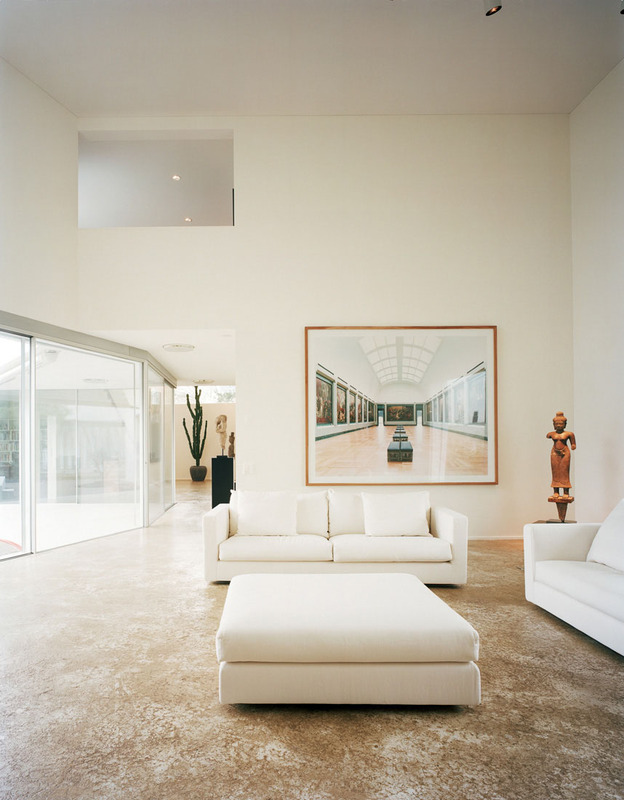 This minimalist house in Binningen, Switzerland was built for a contemporary art collector. A stomped clay floor in the colour of honey offers a velvety touch despite its hardness. The flowing sequence of spaces is perfect for viewing of art pieces.